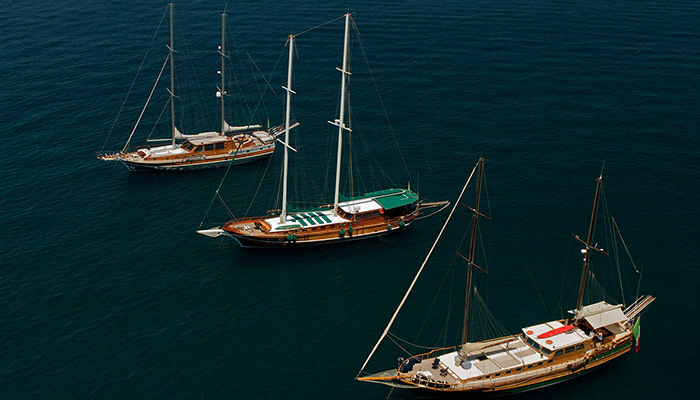 Explore the southern of Italy on board of a luxury gulet. Main Facts & Best Places to visit with a gulet in Italy! 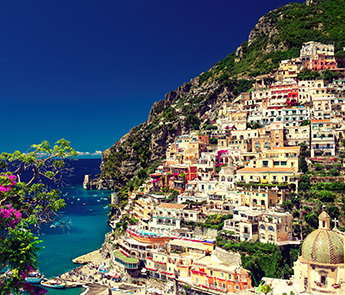 Cruise among stunning islands and experience Italian “Dolce Vita”. 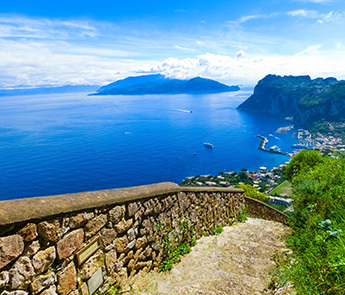 Visit world-famous Capri island or explore small fishing villages of Sicily and Sardinia. 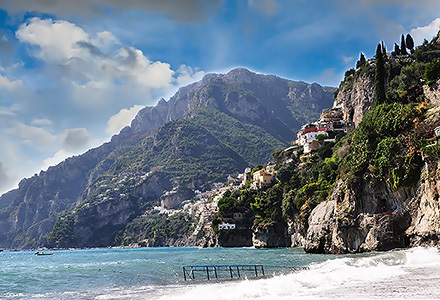 We’ve listed 19 of the most stunning locations you can visit on your Italian cruise – come back year later and visit them all! 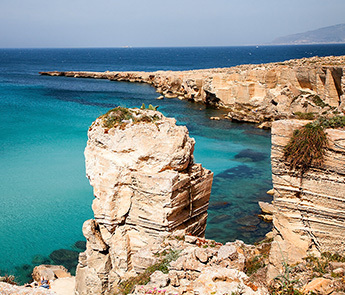 Just 5 miles from the coast of Trapani. 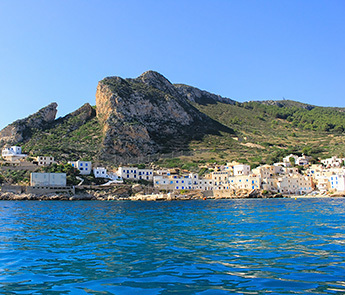 The archipelago consists of three main islands: Favignana, Levanzo and Marettimo, and two large rocks, Maraone and Formica. 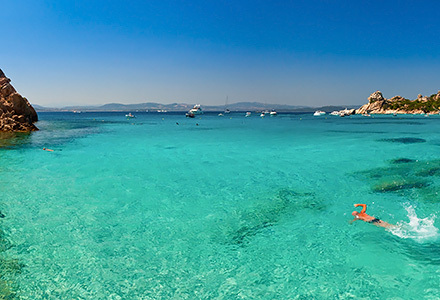 These islands will seduce you with beautiful coastline and transparent sea. 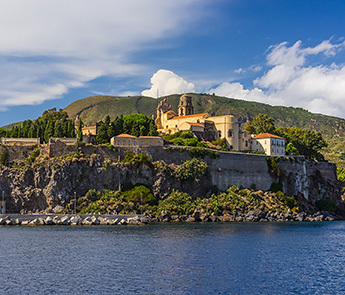 Located about 35 miles off the coast of Sicily, this is a charming place to visit by boat because of its historic beauty as well as particularly memorable seabed which is among the most beautiful in Europe. The Romans called it “Ustum”, because of the lava rocks that dominates the landscape. To old Greeks, who gave up six thousand enemies Carthaginians it was known as “Osteodes”. 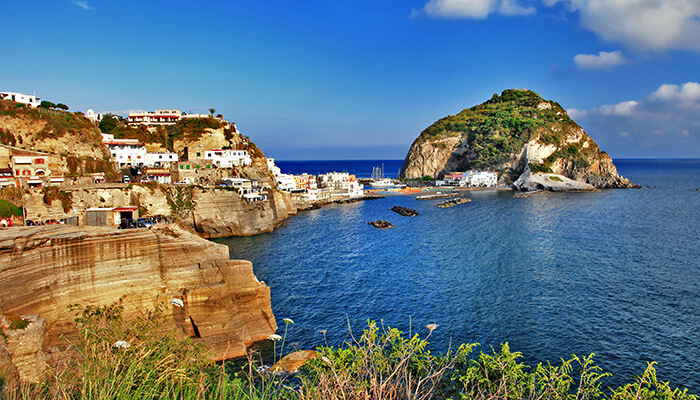 Today the island is often nicknamed the “Turtle” because of the shape of its small coastline with many caves such as the Grotta Azzurra, the Cave of Gold, the Secret Cave, the Green Cave and the Cave of the Thunder. 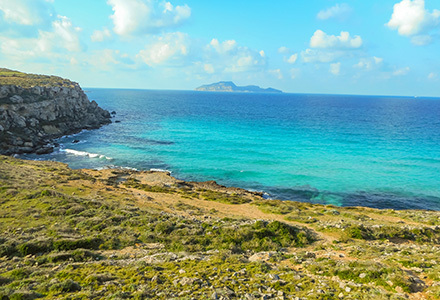 The smallest island of the Aegean archipelago, with a land surface of just 5 km2. It is free of roads, except for a small stretch of road leading to the beach of the island. The highest promontory is Pizzo Monaco, 270 meters above sea level, best known for Grotta del Genovese, one of the most important archaeological sites in Italy housing carvings and paintings dating back to the Upper Palaeolithic period (9680 BC). The island has a characteristic shape of a butterfly and is fairly bare nowadays, although in ancient times it was full of vegetation. 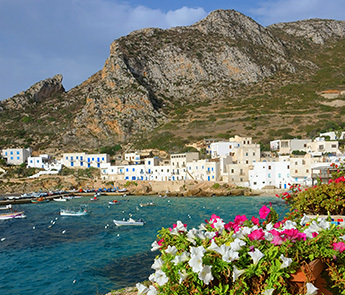 The town of Favignana is a place to visit – cobblestone streets and a church testify to the ancient wealth of the island. The westernmost island of the Egadi Islands. Very tall and dark, it falls into the sea with a steep slope with numerous caves both emerged and submerged. 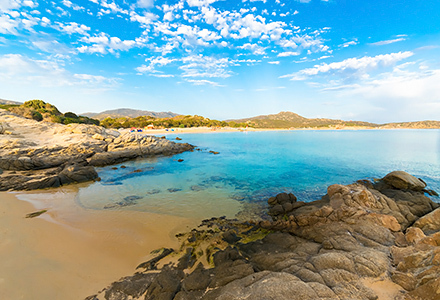 The island has few beaches accessible from land because of its geomorphology; one of which is the beautiful Cala with small and picturesque valley and beautiful pebble beach located at the foot of the promontory of Punta Troia. The city is beautiful, rich in history and ancient palaces, whose architecture testifies to the succession over time of various cultures, artistic styles and historical periods. Do not miss to check small island of Mozia, Erice, and the salt-works. 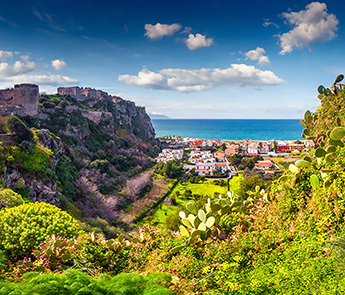 Milazzo is 3rd largest city in the province of Messina and is one of the most important cities on Sicily. It is an important centre of the Metropolitan Area Stretto d Messina (which also includes areas of Reggio di Calabria). 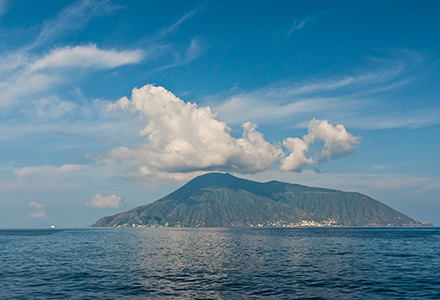 Vulcano (Hierá) is the closest island to Sicily, located about 20nm from Milazzo. The island is famous for black sand beaches, mud pools and hot springs which are believed to be therapeutic. 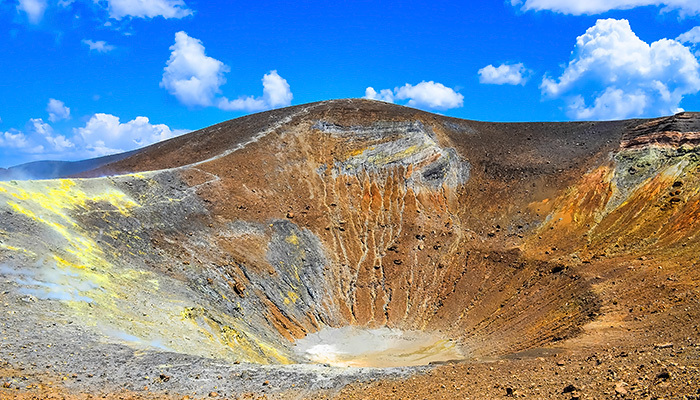 The scent of sulphur is also used for inhalation therapy and becomes more intense if you take an opportunity to go hiking (which is unforgettable) to the Gran Cratere. There are also wonderful caves around the island which you can explore by boat. The largest in the archipelago and about 10,000 inhabitants. The soil of the island is of volcanic tuff, obsidian and pumice. Its coasts are characterised by cliffs and sea stacks with spectacular beaches and breathtaking views. 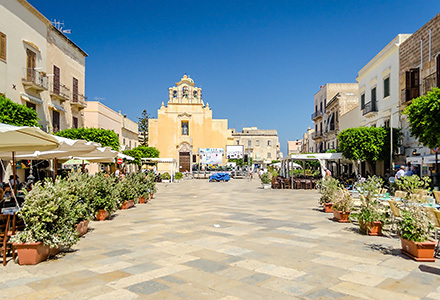 You can wander through quaint shopping streets and local markets or stop for a Sicilian pastry and listen to the locals chat. 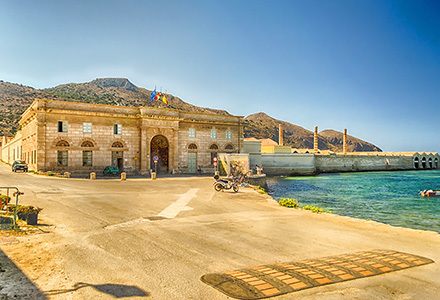 We suggest you explore the interior of the island by scooter or car. 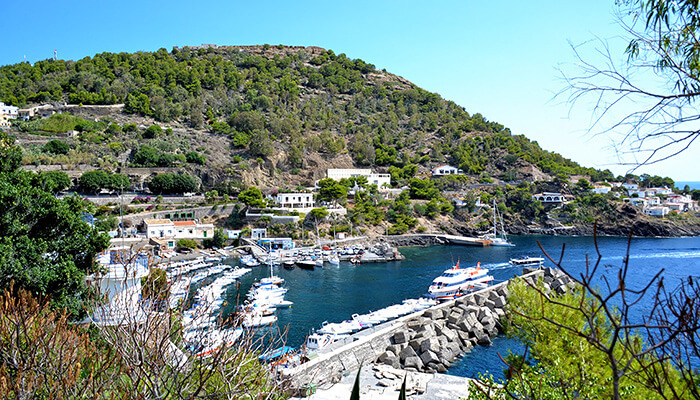 The greenest island in the Aeolian archipelago. 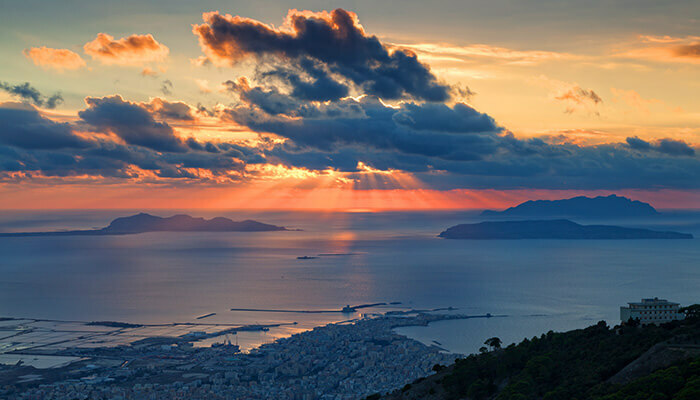 There are two extinct volcanoes which made Greeks to name the island “Didyme” (the Twins). Capers and Malvasia grapes are local products of the island available all year round. They are distinctive for their very sweet flavour and aroma, similar to raisins. You can spend an afternoon exploring the lush terrain either hiking, on by other modes of transport such as bikes, scooters or by a small car. 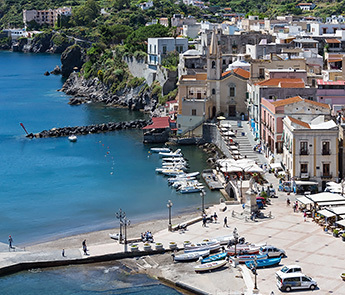 The second smallest of the eight Aeolian Islands and arguably the most beautiful (there are no cars on the island, only golf carts, and electric bikes). Situated just north of Salina, this is a polished gem of the island. It is picture-perfect with white houses garlanded with bright bougainvillea flowers. 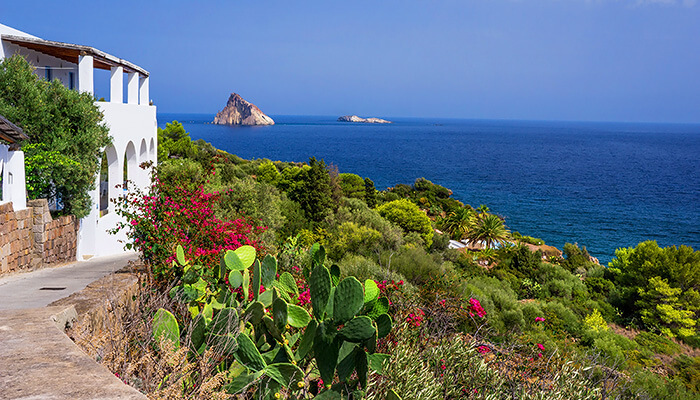 Panarea is also home to one of the best nightclubs in Italy – RAYA – dance until dawn under the stars. Plenty fashionable boutiques, gourmet restaurants and rooftop bars to enjoy. 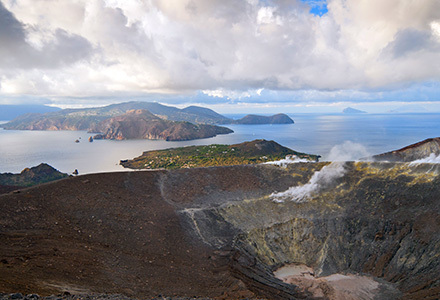 The surrounding waters of Panarea offer wonderful snorkeling and diving options, including the “Bollicine”, an underwater Sulphur spring, which is a rare phenomenon. Place where Romans, poets and writers were looking for inspirations in Gardens of Augustus. Blue Cave will inspire you with it’s crystal blue water, magical atmosphere ancient limestone walls. 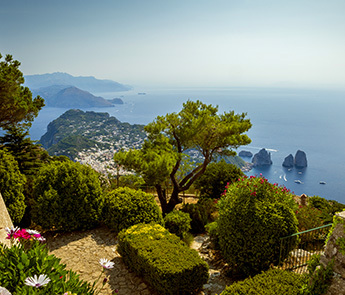 One of the fascinating marks of island Capri are three peaks…. Stella, Di Mezzo and Scopolo. 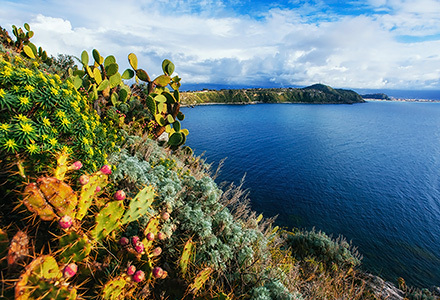 Although the smallest in Naples Archipelago, it was a set of several movies. 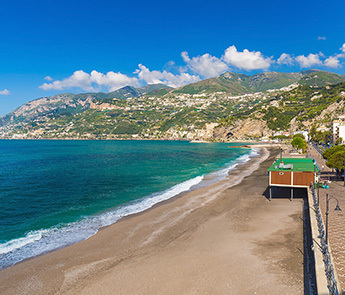 Among all the beauties you must visit Pozzo Vecchio Beach and Chiaiolella Beach. 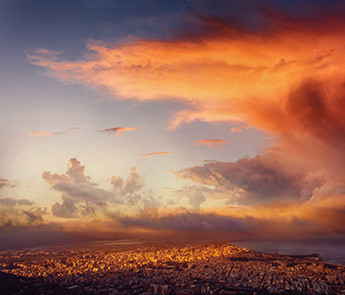 Famous for one of the most active volcanoes in Europe which was known as the “Lighthouse of the Mediterranean” in ancient times. 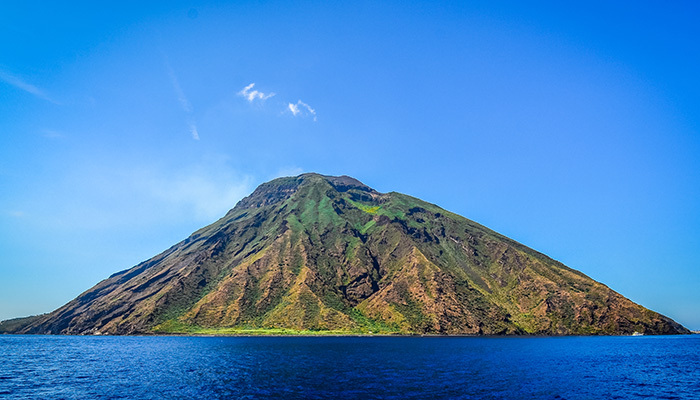 It is the only volcano in the world that has had regular and constant activity for over 200 years. Frequent eruptions occurring by day are spectacular indeed, but at night, it becomes a totally different and unforgettable experience. Anchored not too far from the island, this is one of the best places to enjoy flaming colour of magma while listening to the sound of the rocks rolling down into the sea. This volcanic mountain also extends miles below the sea and for those who enjoy scuba diving, it offers spectacular wall dives. 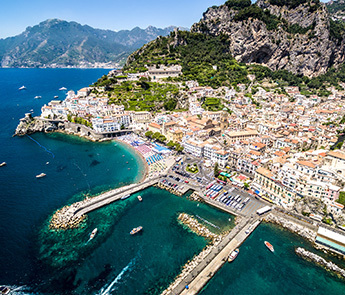 Amalfi coast (UNESCO heritage) with its stunning beauty since Roman times will give you feeling you are in a fairy tale. Scenic coast offers you wonderful views while beaches and bays are reachable mainly by sea. Vertical town from 9th century which can be explored along steep flight of steps. 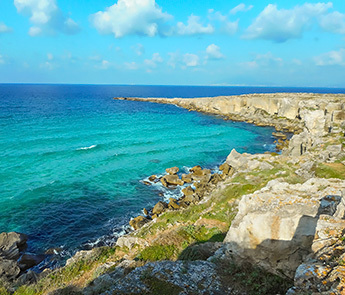 It is packed with history, great restaurants and breathtaking seascapes. Beach Spiaggia Grande is the most well known. The Aragonese Castle (Castello Aragonese, Ischia Ponte) was built on a rock near the island in 474 BC, by Hiero I of Syracuse. At the same time, two towers were built to control enemy fleets’ movements. 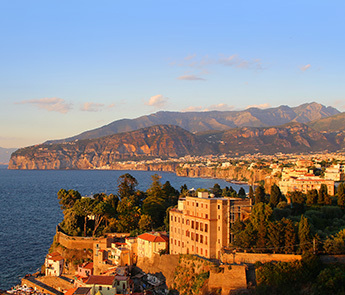 Maiori town has the largest beach on Amalfi coast and rich cultural and historical heritage. Don’t miss to visit ancient watch tower and experience true Dolce Vita. Town stands out with its ceramics that are exported around the world. Even the dome of the church of San Giovanni Battista is covered with colourful ceramics.